With meticulous attention to detail and unrivalled quality craftsmanship, a Strachan walk-in wardrobe solution is a thing of beauty. You’ll wonder how you ever lived without the wall to wall space and stylish storage space for your every outfit and accessory. 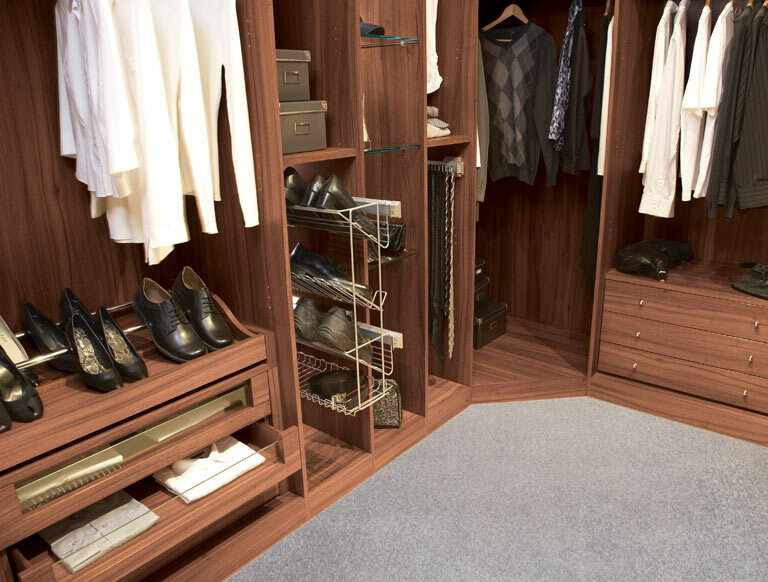 Our walk-in closets boast clever designs that you’ll appreciate every morning, including double hanging rails, slide out shoe racks and accessory trays that open for easy access to all your outfits. Make the most of up to 25% Spring Savings on our stylish walk-in wardrobe collections, as well as all our new designs. Book a free design consultation or request a brochure today to take advantage of our substantial savings on luxury walk-in wardrobes. 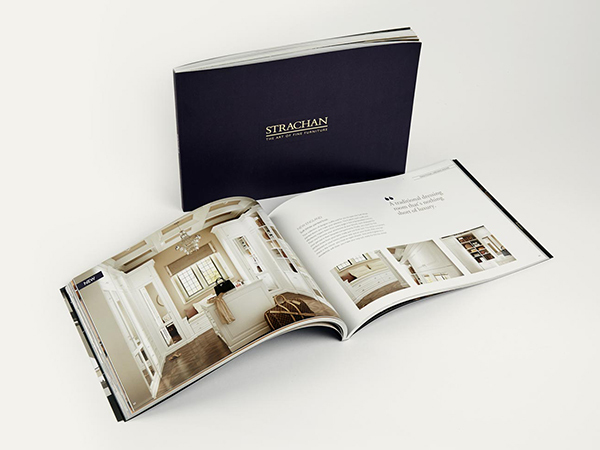 Order a free copy of the new Strachan brochure for walk in wardrobe design ideas and style inspiration. 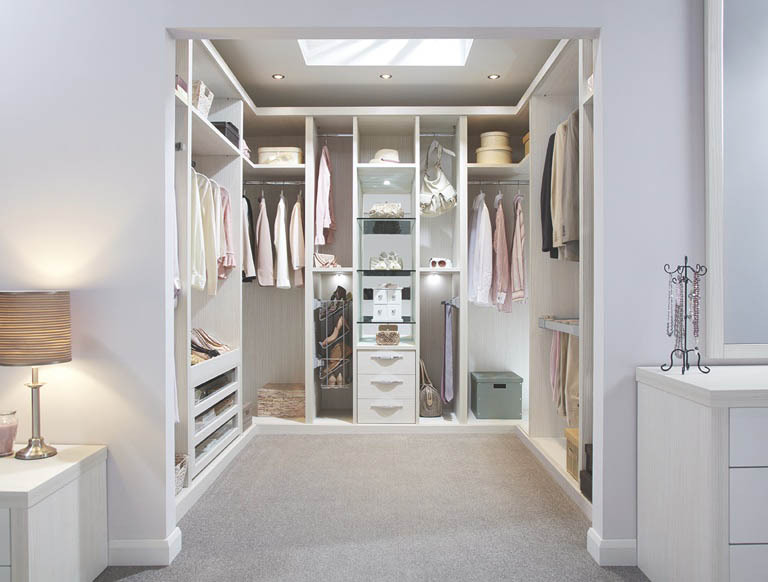 Find elegant bespoke walk in wardrobe designs that make purposeful use of your space. 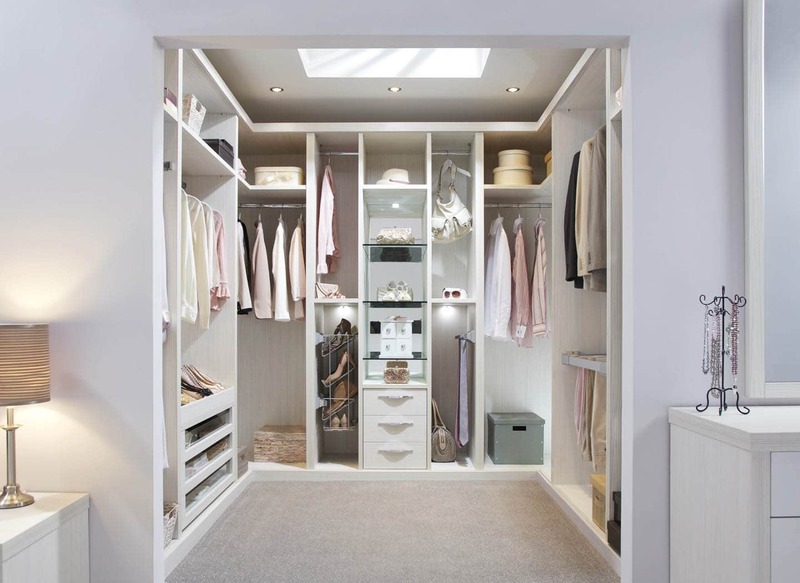 Browse at your leisure and discover the ideal way to transform your home with a walk in wardrobe. As well as practicality, your Strachan fitted wardrobes will deliver beautiful furniture features that will make getting ready an absolute pleasure. 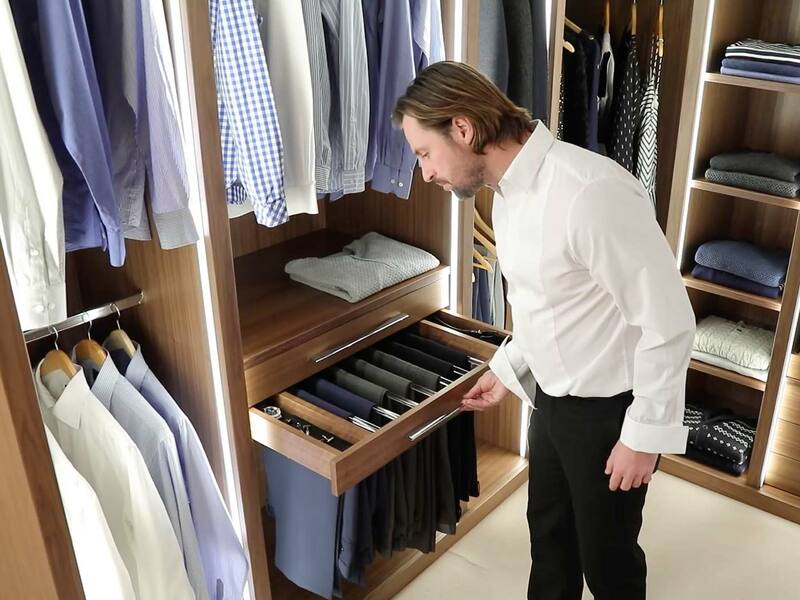 LED lights illuminate your clothing while glass fronted drawers let you see everything at a glance. 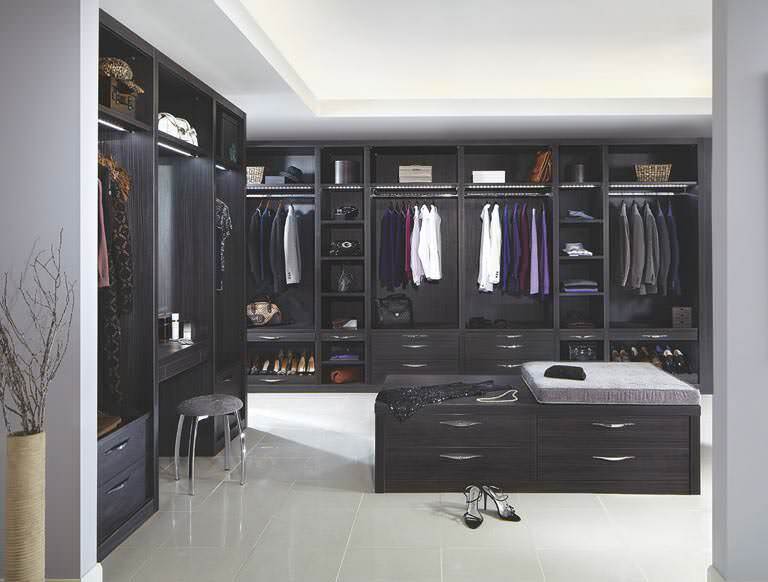 With a walk-in wardrobe closet design from Strachan, you can keep your bedroom space free. Enjoy the peaceful settings of your bedroom with a separate dedicated space for dressing in and storing your outfits and accessories. 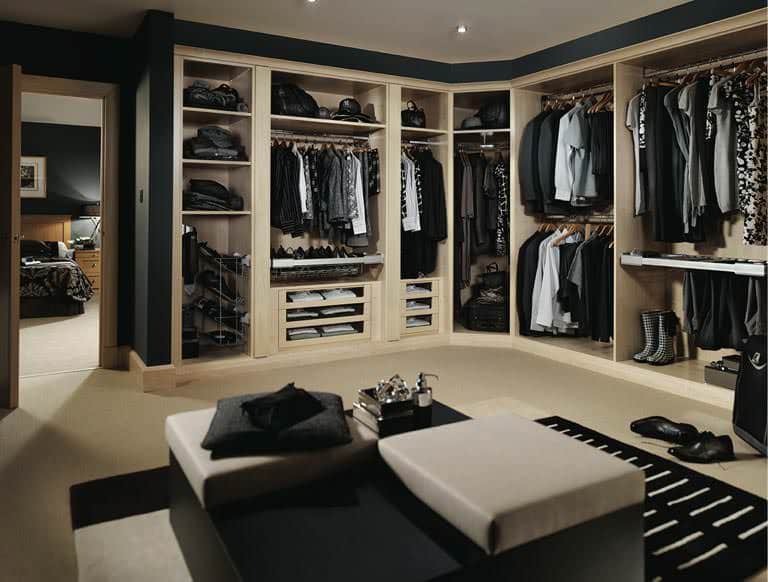 Our walk in wardrobes are available in a huge choice of finishes. From the striking darkness of Aura to the understated allure of Pearl, we’ll help you discover bespoke pieces that perfectly complement your style. We have expert designers across the country who can visit you in the comfort of your own home to talk through your ideas and offer advice. You’ll also be able to view a wide range of samples and our full range of finishes and materials.